Approx 2800 sq ft with 2-Car garage. Wrap around porch. Fieldstone fireplace - all material from century old rock walls found on property. 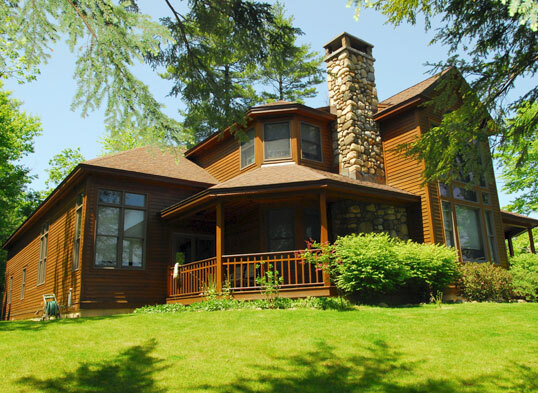 Large stately entrance with great views of Lake George.